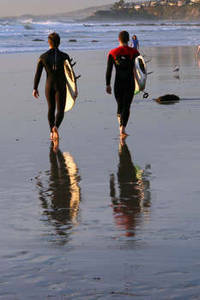 Description: This free image shows two, male surfers walking down the beach. They are holding their surfboards and their reflections can be seen in the wet sand. The ocean is in front of the men.